Last month, Film the House announced its 2018 shortlists. ALCS is proud to sponsor this parliamentary competition which helps shine a light on aspiring filmmakers and scriptwriters. Film the House is run annually by MPs and provides a fun and innovative way to highlight the importance of intellectual property rights both among creators and MPs. This year’s competition has received parliamentary sponsorship from Rt Hon Sir Kevin Barron MP, Lord Clement-Jones and Rt Hon John Whittingdale OBE MP. Each year, emerging filmmakers and scriptwriters from across the country submit entries to be judged by their local MP. 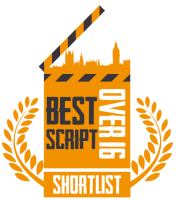 The categories for the competition include Best Original Film Script (Under and Over 16 years) and Best Short Film (Under and Over 16 years). Once the best entries have been chosen from this initial stage of judging, they are passed to an expert industry panel of leading figures from across Britain’s creative landscape, which chooses the finalists. 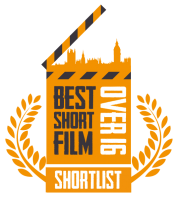 All the shortlisted film-makers will be invited to the Film the House winners’ ceremony at the House of Commons on 2 April 2019 where Lord Michael Dobbs, writer and executive producer of House of Cards, will announce the winners. The competition enjoys widespread support from industry and is sponsored by 21st Century Fox, ALCS, Lionsgate, The Motion Picture Association, Sky, Warner Bros and Viacom. For more information, including the full press release, visit filmthehouse.co.uk.